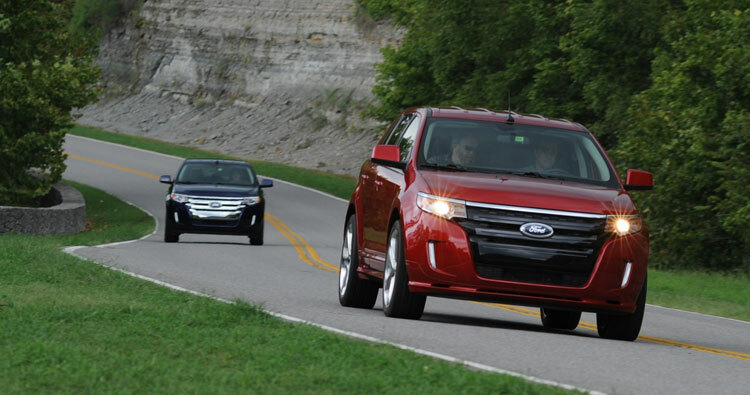 It’s not that the 2010 Edge was poor, flawed, or even unlikable . But beside the totally reworked model Ford just rolled out for 2011, it might as well be a Model T.
The company’s popular crossover utility vehicle has been dressed up, slicked down and thoroughly doused in technology for its fifth year on the market. Twenty percent more torque from the same engine, with better fuel economy, too. A new front fascia that says “move over” in the rear view mirror more than “mom.” An in-car computer that will not only let you place calls by speaking – it will read your incoming text messages to you aloud. We spent hours flogging the 2011 in the back hills around Nashville, and while we spent the majority of it fiddling with MyFord Touch, we would be remiss to not mention that the first vehicle to get this automotive supercomputer is, well, a worthy set of wheels. 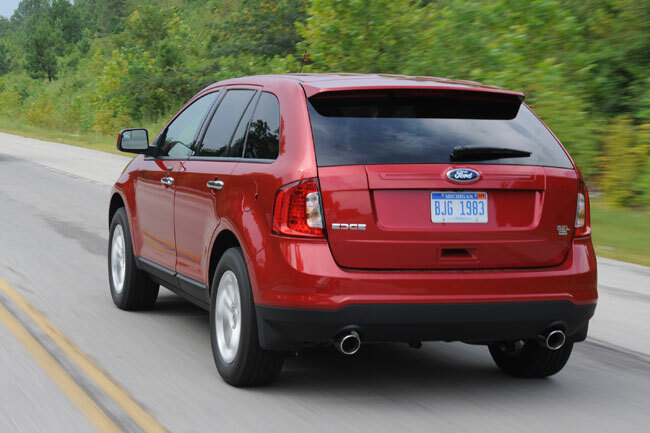 The 2011 Edge is the kind of vehicle that begs to be taken on a road trip. A total interior redesign has left everything from the seats to the steering wheel and dash feeling touchably plush and studded with technology. It’s a welcome break from the hard plastics from the last generations, though performance enthusiasts might find the comfy wheel more Nerf than MOMO. When it’s not spitting out 305-horsepower at wide open throttle, the 3.7-liter V6 in the Sport edition (borrowed from the Mustang but apparently tamed along the way) purrs along with barely a whisper, and road noise seems to disappear somewhere in all the interior softness that separates you from the outside – an important factor given how heavily MyFord relies on a quiet cabin for voice commands. Don’t take that to mean Ford has literally gone soft on the Edge, though. While the suspension muffles highway potholes without complaint (even with the stiffer tuning and 22-inch wheels on the Sport edition) the Edge feels sure-footed and right at home after veering off into the curves, too. All-wheel drive made our rain-soaked trip through Tenesee twisties almost too safe feeling. If you want noise, it does that too. An optional Sony 12-speaker stereo belts out bass low enough to rumble the door panels with the best of them, and you can tweak the sound to heart’s content on the MyFord Touch screen. The same Sony upgrade also includes home-electronics-inspired capacitive touch buttons in the center stack. While they respond as readily as the real thing and look great, the lack of click still left us wondering if shifting everything to touch should really be the going trend. The base price for the 2011 Ford Edge starts at $27,220, but loading it up with many of our favorite goodies can easily push it north of $40,000. For the road-weary traveler looking to be coddled in technology without totally losing the thrill of the open road, the Edge remains of the sharpest picks on the market for 2011. 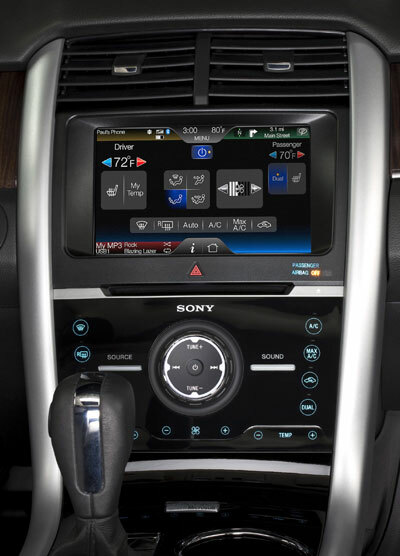 Also check out our in-depth coverage of the MyFord Touch in-dash technology.